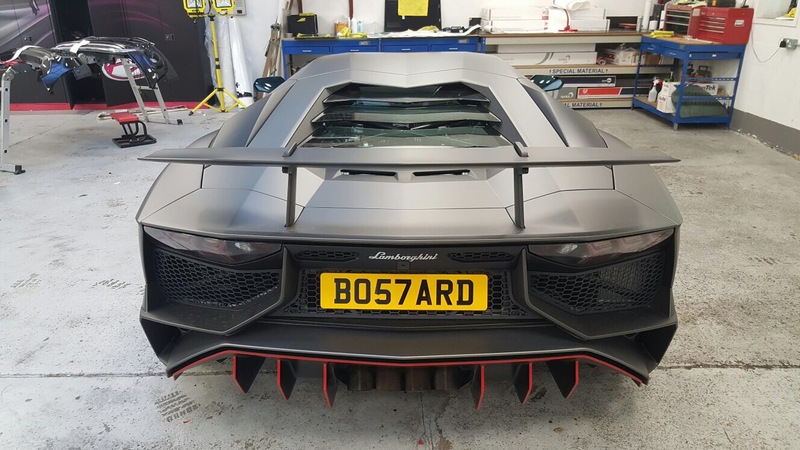 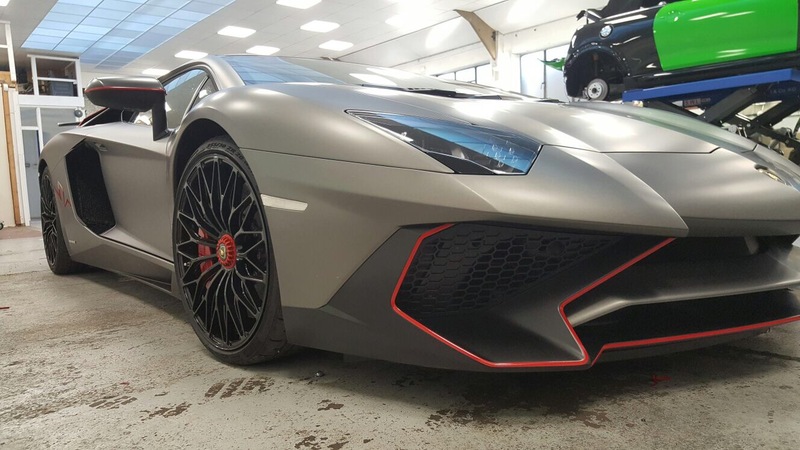 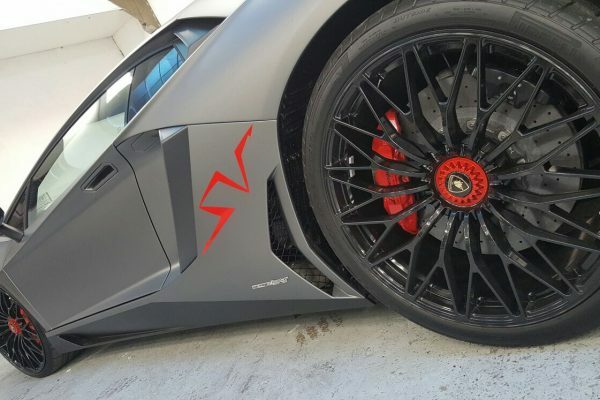 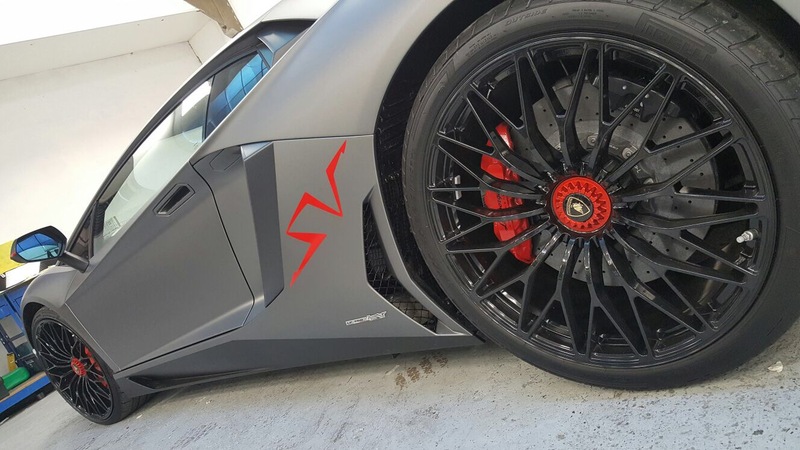 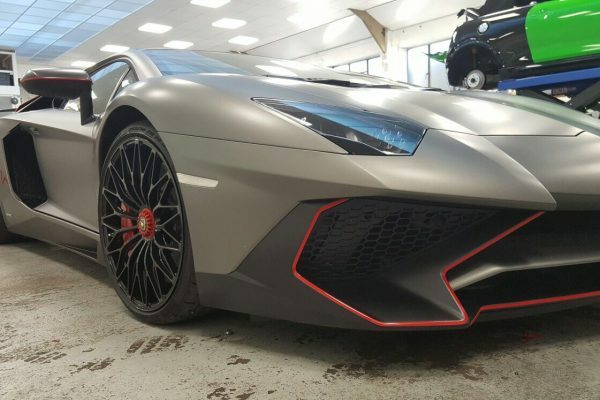 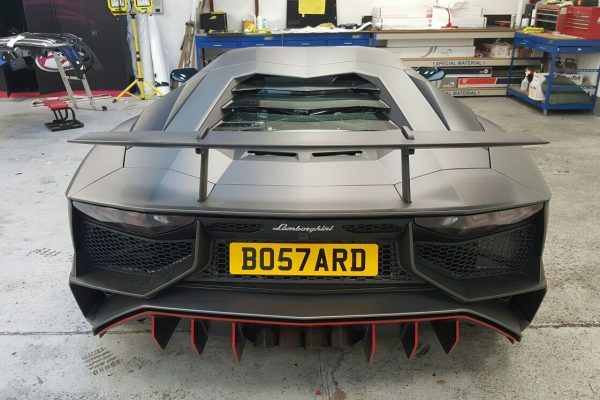 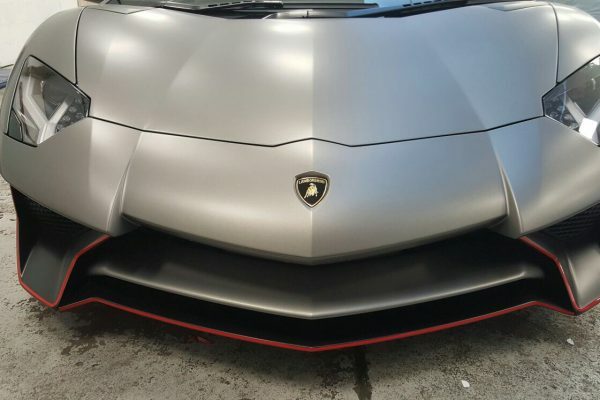 A full paint protection film wrap on this striking Lamborghini Aventador. 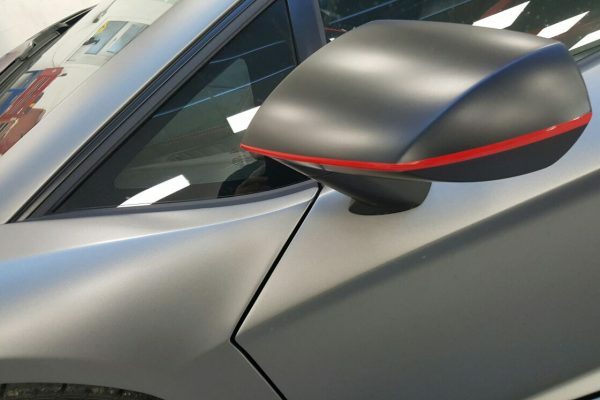 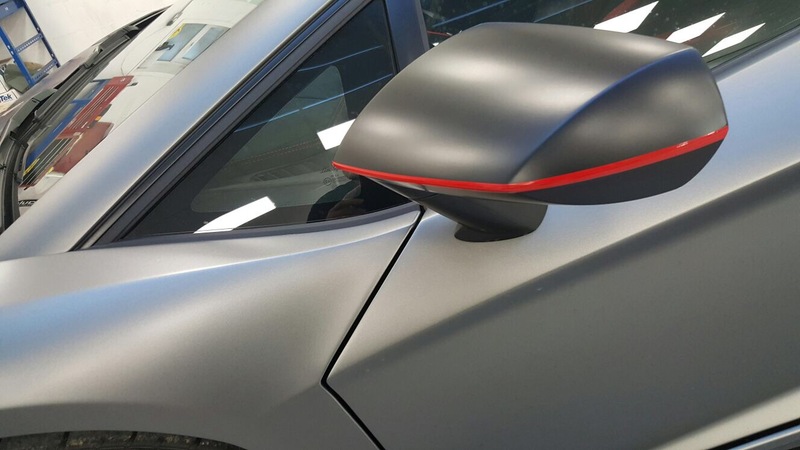 As you can see, this PPF Wrap is completely invisible – you would never even know it was there. 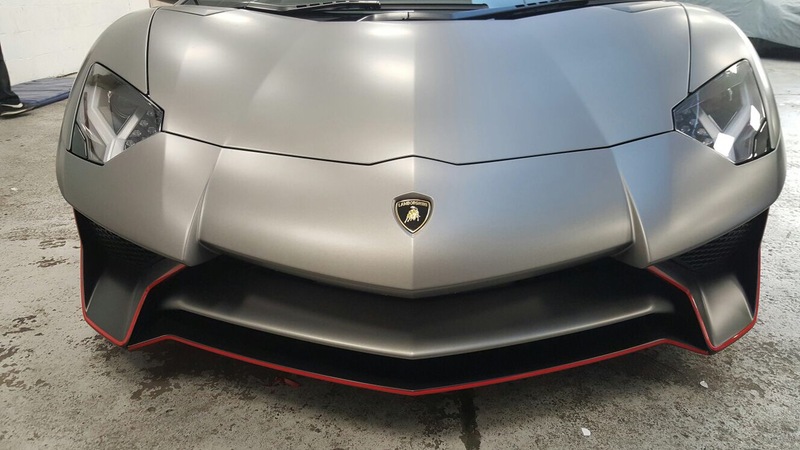 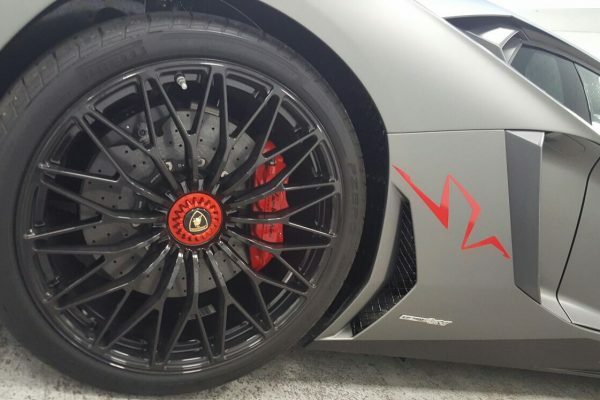 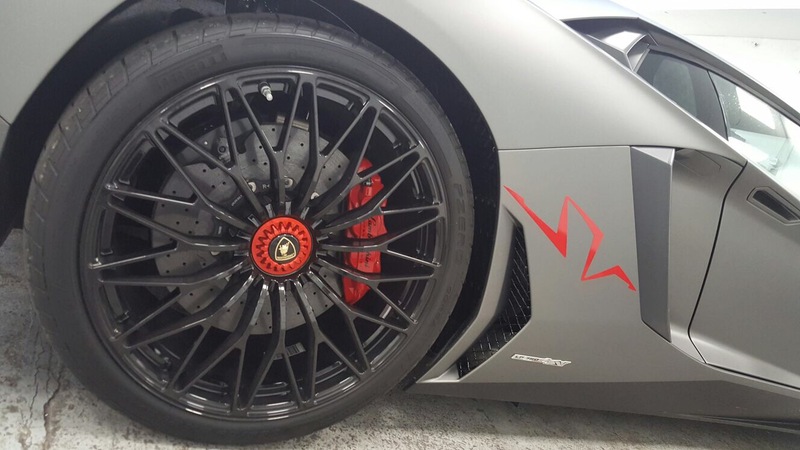 We have also installed small red vinyl details to enhance the curves on this stunning super car.